Quite food motivated and responds well to reward-based training techniques. 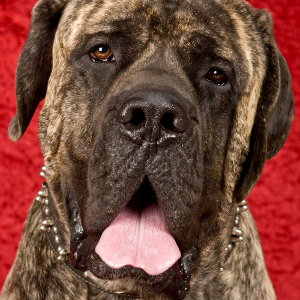 Mastiffs enjoy dog sports such as agility, carting, both rally and competitive obedience, weight pull, and tracking. 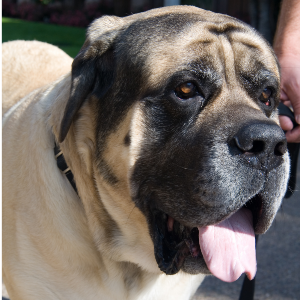 May be protective around strangers or intimidate other dogs with their size leading to aggression or fighting. 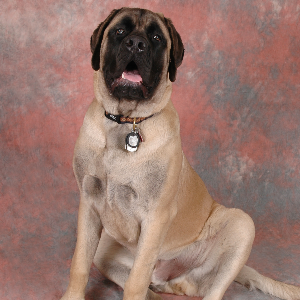 As the ancestor to a lot of modern breeds, it’s fair to say Mastiffs are a pretty big deal. 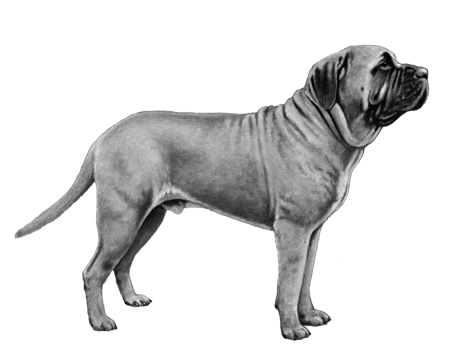 They’re pretty big in size too, with an average weight of between 175 and 200 pounds. 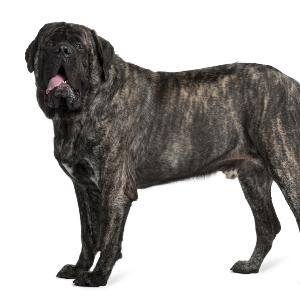 They likely date as far back as ancient Egyptian and Chinese civilizations and were used in the blood sports, like bear- and bull-baiting (even Caesar praised the Mastiff for its fighting ability). 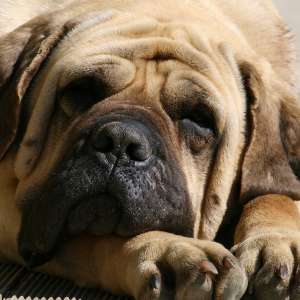 Britain’s banning of baiting sports and two World Wars almost made the Mastiff go extinct. 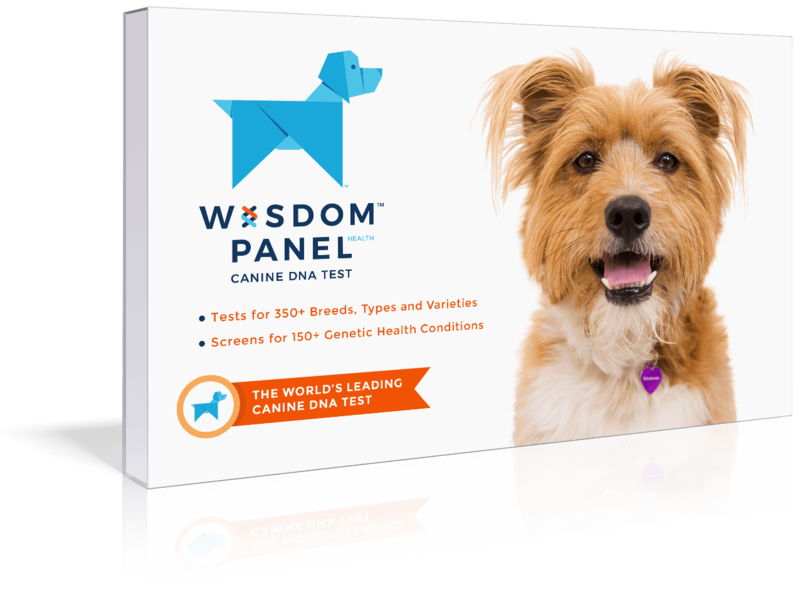 But fortunately, people in the U.S. continued to breed them, preserving them for the future. We’re glad. These courageous and protective dogs are well worth fighting for.